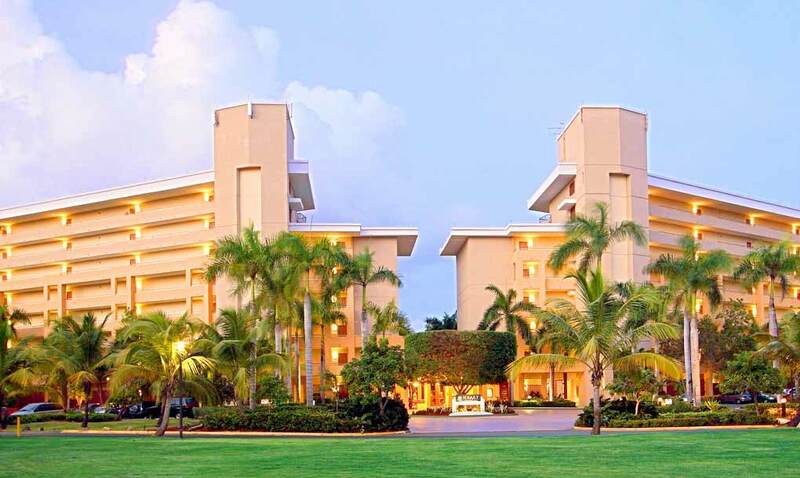 Discover the charm, beauty, and excitement of Puerto Rico in ultimate luxury at the enchanting Hyatt Hacienda Del Mar. Situated on Puerto Rico’s famed Dorado Beach, Hyatt Hacienda Del Mar is a tropical paradise waiting to be discovered. Located only 25 minutes from San Juan and surrounded by the beauty of Puerto Rico’s natural landscape, Hyatt Hacienda Del Mar resales offer hours of endless activities and relaxation. From world-class golfing and high stakes casino action to SCUBA diving and deep sea fishing, all of your vacation fantasies will come to life each and every time you visit your inviting Hyatt Hacienda Del Mar fractional ownership property. At the Hyatt Hacienda Del Mar, you’ll discover the excitement, fun, and sun responsible for Puerto Rico’s reputation as a legendary vacation destination. With a Hyatt Hacienda Del Mar timeshare resale, you will experience serenity and paradise while vacationing in majestic Dorado, Puerto Rico. Escape each evening to your finely appointed sanctuary. Featuring two bedrooms and two bathrooms, each unit comes equipped with a master suite and whirlpool spa, fully equipped kitchen, luxurious bedding, private balcony, living and dining area, cable TV, and premium electronics, allowing you to sink into heavenly bliss each and every day. After recharging your batteries, you will discover an endless array of resort amenities. Take in a workout at the state-of-the-art fitness center, or enjoy a competitive tennis or sand volleyball match. Afterwards, visit the Spa Del Sol for a rejuvenating treatment, or let your worries drift away as you meander down the never ending lazy river. Play a round of golf at the Jack Nicklaus or Robert Trent Jones-designed gold courses, or experience paradise on earth only steps away on the white sands of Dorado Beach. With so much to do and see on the resort grounds, it is hard to believe that casinos, caves, museums, nightlife, and water activities are all just a stone’s throw away as well. Skirting the turquoise waters of the Caribbean, the resort’s award winning Jack Nicklaus-designed golf course is every golfer’s dream. With impeccably manicured grounds enveloped by the magical hues of a Caribbean sunset, teeing off at this special course is a unique and cherished experience. However, the golfing options do not end here. Adjacent to the resort, you will find two equally splendid courses designed by the world-famous golf course designer, Robert Trent Jones, providing hours upon hours of unparalleled golfing enjoyment. Perched above the breathtaking Dorado Beach, Hyatt Hacienda Del Mar timeshare resales offer countless water activities. By purchasing a Hyatt Hacienda Del Mar timeshare for sale, you can spend your days curling your toes in the sand or jumping in the azure waters offshore for serious fun in the sun. You can SCUBA dive or snorkel to witness the hundreds of tropical fish species calling these waters home. Perhaps more adrenaline is what you seek? If so, why not rent a water ski, windsurf, or parasail over the famous surf. There are numerous Hyatt Hacienda Del Mar timeshare deals that will put all of these activities and more right at your fingertips. Lounging on the pristine sands of Dorado Beach, experiencing world-class golf, and diving in some of the most beautiful waters in the Caribbean may be terrific ways of spending your vacation days, but at the Hyatt Hacienda Del Mar, things really heat up after sunset. There are numerous stunning casinos found throughout Puerto Rico, allowing you to try your hand at the slots, blackjack, poker, roulette, and much more. Luck may be a roll of the dice, but with a vacation at Hyatt Hacienda Del Mar, you are always guaranteed to have the time of your life. If you would like to be able to experience all of this and more year after year, you can buy a Hyatt Hacienda Del Mar timeshare for pennies on the dollar of a standard resort stay. Premier Timeshare Resale has access to all of the best deals, allowing you to enjoy all that Dorado, Puerto Rico has to offer. If you would like to sell a Hyatt Hacienda Del Mar timeshare, Premier Timeshare Resale can help you sell your property as well, providing another family with years of fun in the Caribbean sun.